On November 6, AI Global Media and BUILD announced their Construction and Engineering Award Winners of 2015. 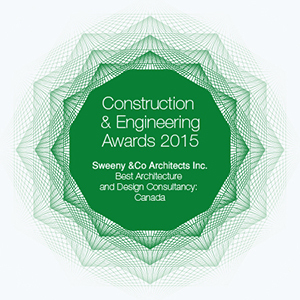 And we are honoured to have been selected as BUILD's Best Architecture and Design Consultancy in Canada. Sweeny&Co strives to bring measurably better solutions to our valued clients. With the recently completed Queen Richmond Centre West that we just moved our studio to, the mixed-use development Sun Life Tower/Harbour Plaza Residences currently under construction, and TELUS House Toronto at 25 York which recently obtained the first LEED Dynamic Plaque in Canada, and numerous other examples, our work continues to be a testament to our commitment to better buildings through strong collaborative partnerships with our clients. For the complete list of winners and their featured profile please refer to AI Global Media BUILD Awards . We are honoured that our project, Queen Richmond Centre West, has received two national awards at the Canadian Consulting Engineering Awards: the Award of Excellence, and the prestigious Schreyer Award for top technical achievement and innovation in engineering. Held annually for 47 years by the Association of Consulting Engineering Companies in Canada and the Canadian Consulting Engineer magazine, these awards are the highest mark of recognition for completed projects by Canadian Consulting of Engineers. We congratulate our engineering team, Stephenson Engineering and Cast Connex for this outstanding achievement! 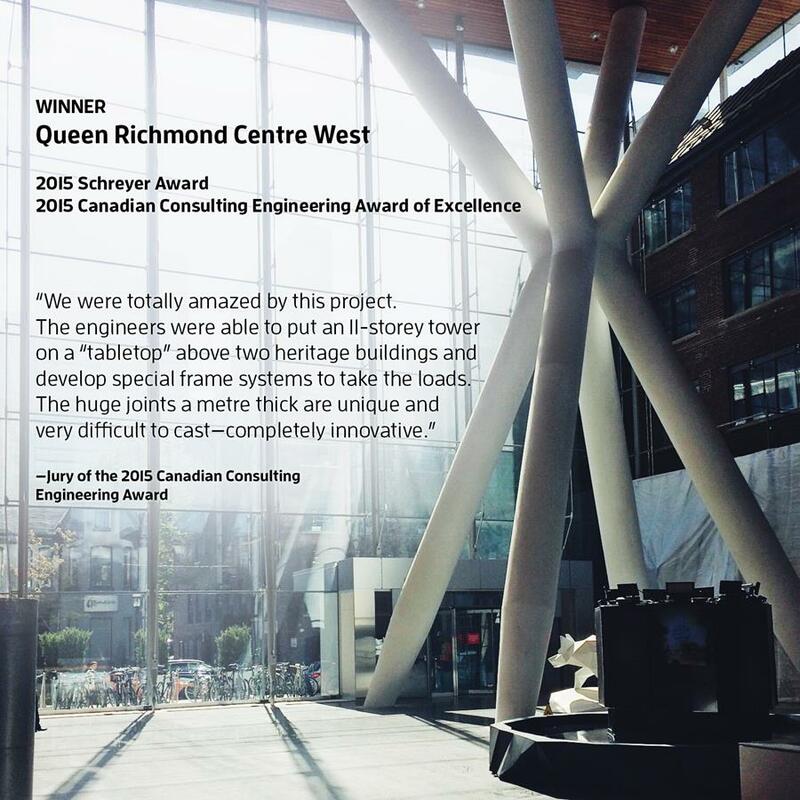 In conjunction with the Schreyer Award, there is an interesting write-up on the Queen Richmond Centre West and the process behind the structure and the delta frames in this feature article by Canadian Consulting Engineer magazine. In 2011, for the first time in nearly a century, the rate of urban population growth outpaced suburban growth, reversing a trend that began with the invention of the automobile. In metropolitan areas, the majority of construction activities have now shifted to what planners call the “urban core” while the demand for large single-family homes in the suburbs is declining. One might reasonably ask: “How does this shift affect suburban areas?" Sweeny&Co's President, Dermot Sweeny, has collaborated with renowned SAB Magazine and contributed his thoughts on creating a strategy that re-imagines suburban life. Read the full article here . If you are interested in knowing more about the topic of City Building and Development, please join us at 2015 Canadian Real-Estate Forum where Dermot Sweeny will be speaking as part of a panel discussion on Wednesday, December 2, 2015, at 1:40pm. 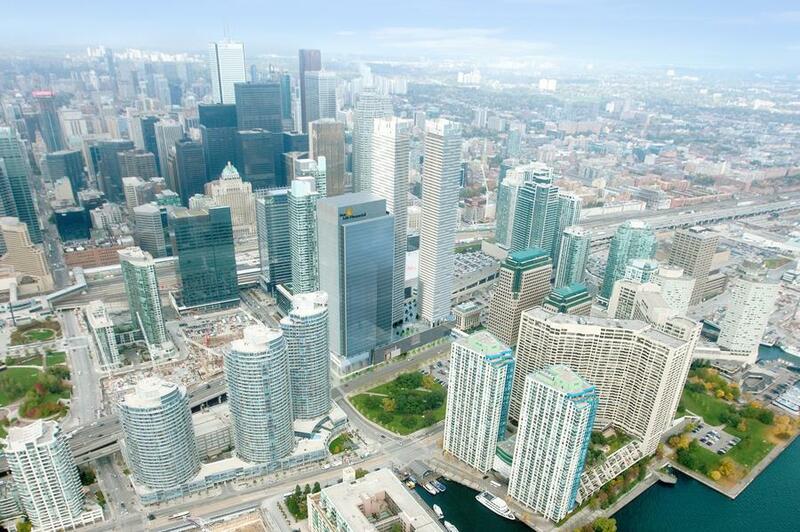 The panel will explore Understanding the Toronto market: What is driving City Building & Development? How much more can we expect? Dermot Sweeny, Principal, Sweeny&Co Architects Inc.